Guys, this was a hard one. 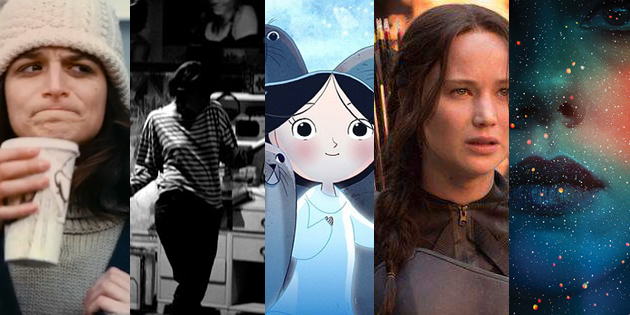 All of the films that made it to the final round (Mockingjay Part 1, Under the Skin, Obvious Child, A Girl Walks Home Alone At Night, and Song of the Sea) are seriously amazing. And no wonder! These are the films that you guys, who clearly have awesome taste since you all read my blog, picked as the best underappreciated films for 2014. Clearly it was going to be hard to pick among them. And it's not like these movies were easy to compare. They have nothing in common, besides all being really good. I mean, in these final five alone, we had a movie about being adrift (and unhappily pregnant) in your twenties, a film about social unrest and vampirism in Iran, a story that blended Irish folklore with children's grief over a lost parent, a blockbuster adaptation of a book about teenagers killing each other for sport, and whatever the hell Under the Skin was. Like I said, there's not a lot of commonality in this group. Pretty much just the fact that all of these movies, as stated before, are really insanely good and didn't get the appreciation they deserved. Which, I guess, means it's worth pointing out that none of the movies in this category are bad, so it's not like saying that one of them won over the others really means that the rest of them lost. I don't necessarily like that idea. It's more that the film that won is the film that told the best story in the best way and didn't get the appreciation it deserved from awards shows or critics. These are all awesome films and you should totally watch them all. Late last night there was an upset in the voting, where Under the Skin, which had been pretty much neck and neck with Song of the Sea for the final spot, suddenly pulled ahead. Which was a relief, since I didn't really want to have to do another run-off election. 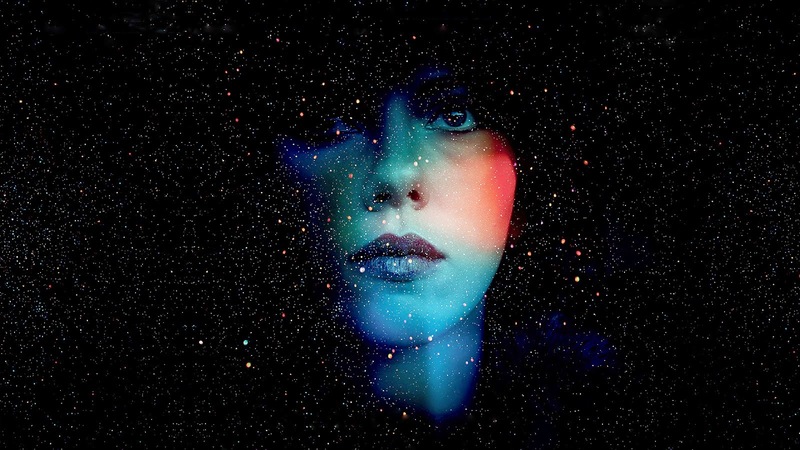 Under the Skin wins for best overall film, with Song of the Sea coming in at a well-deserved second place. It's hard to exactly quantify why Under the Skin won, since everyone who voted had their own reasons for picking it (or not), but here's my logic: Under the Skin is the kind of movie that haunts you, that changes you, that you don't understand so you pick over until you come to a kind of peace with it. For all that it's definitely the most avant-garde film on this list, it's also unequivocally a movie about what it means to be human and what it means to be a woman. It's a strange, artistic film that ultimately means a great deal. It is, at the very least, novel. New. Something I've never seen before. And while that's not the most important thing, it does have a lot of value. It's a strange, beautiful film that tells a story it would have never occurred to me to tell and that I feel enriches my life for having seen it. And, like I said above, that's not to say that any of the other films nominated weren't good or great or amazing. It's just that, in this category, Under the Skin is both a spectacular story and a movie that was unjustly ignored by critics upon its release, or else panned by people who didn't even bother to try to understand it. I'm not going to say it's an easy movie, but it is a remarkable one. This actually rounds up The 2014 Undies. It's been awesome, you guys. I'm super glad we did this, and I am already making lists of films that need to be included next year. So, thank you all for voting and being awesome, and I am going to go take a very well-deserved nap. *APPLAUSE* I've enjoyed this. Maybe it should happen every year! I have already started thinking about which films need to be included next year!